Even its earliest days, educational broadcasting – both radio and television – struggled to compete with commercial providers as the latter were often opposed to dedicating bandwidth for specifically educational channels. (Commercial providers argued too – and this will sound familiar to today’s debates about open educational materials – that the quality of their content was superior.) But in 1952, the FCC reserved 242 channels – 80 VHF and 162 UHF – for educational use. New stations were created, such as KUHT, which was licensed by the University of Houston and the Houston Board of Education and went on the air in May 1953, the first educational non-commercial station. Educational TV stations faced several challenges: PR and programming to name just two. Often the stations did not have much regular programming to offer, and as such they tended to be off the air on the weekends. What programming they were able to provide was frequently low-budget and dependent on local producers. There was no educational network; that is to say, there were just individual stations. One technical issue all early television stations faced was actually getting the signal from the transmitter to receivers, whether in homes or in classrooms. In the 1940s, Westinghouse engineer Charles Noble had developed a solution to this problem – something he called “Stratovision.” Stratovision involved broadcasting the transmission from the air, rather than the ground, via aircraft flying at 25,000 feet. But commercial television didn’t pursue Stratovision, instead developing networks that shared and broadcast programming via affiliate stations simultaneously across the country. That was something that educational television did not have, and Westinghouse contacted Philip Coomb, executive director of education for the Ford Foundation and suggested that Stratovision be used to this end. The Ford Foundation was a major funder of educational television efforts – according to Paul Saettler, it invested $70 million in these initiatives from 1955–1965; and the Ford Foundation helped support one of the more unique experiments in ed-tech history, the Midwest Program on Airborne Television Instruction (MPATI). “Six and half tons of identical transmitting equipment, consoles, VTRs, and related broadcasting equipment, along with shelves of duplicate libraries of videotapes were bolted down and shock-mounted onto two DC-6 planes leased from Purdue University,” writes Steve Jajkowski. 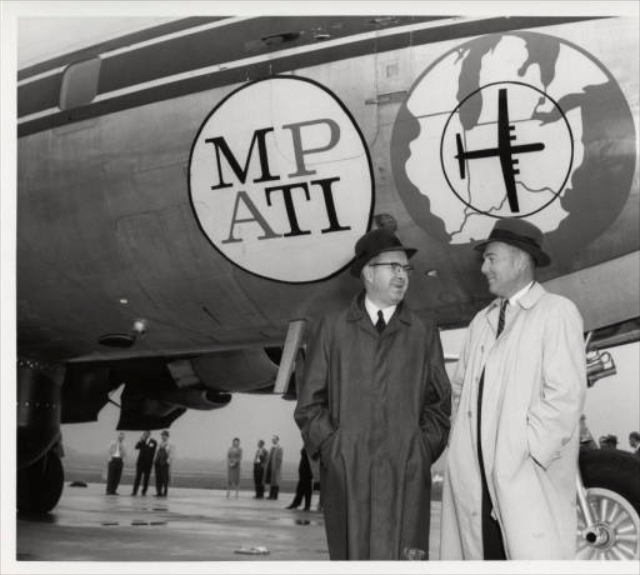 The MPATI planes circled the skies, broadcasting educational TV to membership schools below - in Indiana, Illinois, Kentucky, Michigan, Ohio, and Wisconsin. The Midwest Program on Airborne Television Instruction was a non-profit organization formed in 1959 and headquartered at Purdue University. Members of its board included Howard Cromwell, Superintendent of Schools in Middletown Ohio; John Ivey, Dean of Education at the University of Michigan; Samuel Miller Brownell from the Detroit Public Schools; and Benjamin C. Willis, Superintendent of the Chicago Public Schools. The MPATI board identified the teachers for the project, selecting 20 with backgrounds in instructional television from an applicant pool of 300. The organization then worked to develop the primary and secondary level curriculum it would deliver: courses in English, math, science, arts, music, and foreign languages. The FCC allocated two UHF channels for the project. The first demonstration telecasts began in April 1961; complete programming started in September 1961. The system provided seventy-two half-hour television lessons in a five-hour day by broadcasting five separate programs simultaneously, four days a week, during the school year. Despite having a significant amount of content to broadcast, scheduling remained a problem, complicated by the fact that MPATI member schools were spread across two time zones and were caught up in debates in Indiana about whether or not to observe Daylight saving time. And, no surprise considering the UHF signal, there was a steady stream of complaints from schools about the reception. The cost of establishing MPATI exceeded $8 million. It was estimated that the maximum use of this system would demand about $10 million annually. 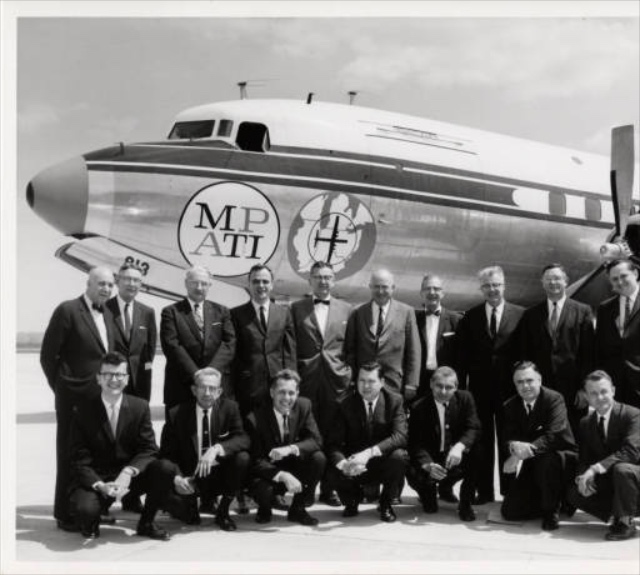 When the Ford Foundation grant was terminated in 1966, MPATI was expected to be sustained largely by member schools in the years ahead, but by 1968 the airplanes came down for the last time. MPATI remained as a production and library organization for another three years. Finally, in 1971 the entire MPATI operation was incorporated into the Great Plains National Instructional Television Library in Lincoln, Nebraska. Aside from financial problems, MPATI also had a number of technical problems. First, the project could not get the four to six permanent UHF channel assignments it requested from the FCC because, it was reasoned, this would keep other ground-based facilities from developing. Moreover, since MPATI succeeded in stimulating interest in instructional television throughout the six-state region, numerous stations were started. Many used their CCTV systems, and several schools began experimenting with Instructional Television Fixed Service (ITFS). Consequently, by the mid–1960s there was no longer a great need for the flying transmitter, partly because of the stimulus of the MPATI project itself. 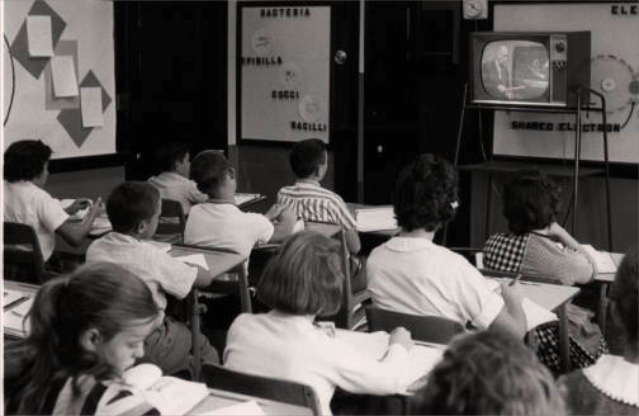 Despite all the hype about what educational television could offer (and despite two DC-6 planes that briefly circled the Midwest broadcasting content to schools below), teachers simply didn’t use TV in the classroom all that much.